Spina bifida is a type of neural tube defect (NTD) characterized by a defect in the spinal column due to inadequate closure of bones of the vertebral column. 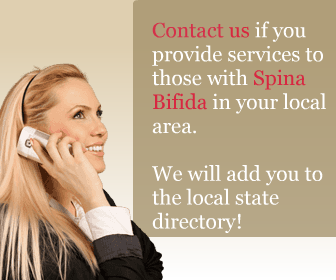 It can be classified into two main types called closed spina bifida/closed NTD and open spina bifida. In open spina bifida the defect is not covered by skin while in closed SB the defect is covered by skin. Closed Neural Tube Defects (NTD’s) are localized and involve only the spine; the brain is usually not affected . Closed SB occurs due to defect in secondary neurulation. Secondary neurulation involves further neural growth to the caudal neuropore after the end of primary neurulation. This process forms the filum terminale and conus medullaris from a poorly differentiated tissue of the medial eminence. Although in the closed SB neural tissue is not exposed and the defect is completely epithelialized, but the skin covering the defect may be dysplastic or abnormal . The most common presentation of closed SB is the presence of a cystic mass, area of hypopigmentation or hyperpigmentation, cutis aplasia, congenital dermal sinus, capillary telangiectasia/hemangioma, hairy patch, skin appendages, or asymmetrical gluteal cleft of the spine. 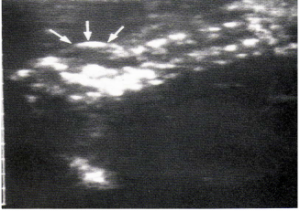 The presence of fully epithelialized skin over the defect with no visible neural tissue is usually common to all the patients with this ailment. Sometimes closed SB can present without a skin lesion or marker. The other common presentation of closed SB for is the asymmetry of the legs and/or feet. One leg may be thinner with an ipsilateral small sized foot, higher arch, and clawing of the toes. Some children may present with progressive spinal deformities, such as, scoliosis and other deformities. Some children may have clinical features like unilateral weakness of the lower part of lower extremities, sensory loss of the same, and bladder or bowel complaints. In older children or adults, low back pain also may occur without neurological deficit. Adults can present with symptoms like sudden onset of back pain, weakness and sensory disturbances. Bladder dysfunction may occur after an acute injury due to vascular compression in an already tethered cord. Presence of congenital dermal sinus with an intraspinal dermoid cyst or a neurenteric cyst along with symptoms of spinal cord compression due to enlargement of the mass may be another presentation of closed SB. Some patients with a dermal sinus may have features of bacterial meningitis or spinal abscess. Occurrence of bouts of aseptic meningitis (due to leaking of the contents into the spinal subarachnoid space) points toward the presence of dermoid or neurenteric cysts . The presence of several of the above mentioned clinical features may provide you with a clue regarding a diagnosis of closed SB. MRI is the investigation of choice for viewing neural tissue and for recognizing contents of the lesion in the newborn. X-rays of the spine may be helpful. CT scan provides you direct visualization of the bony defect and anatomy. 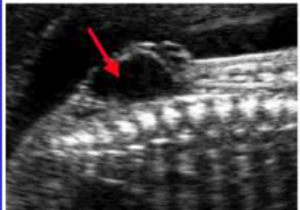 Ultrasonography is used for screening of NTDs during antenatal period; however, the cases which are not diagnosed during prenatal screening can be diagnosed with plain X-ray films after birth. Other antenatal investigations are quadruple/triple screen, serum folic acid levels, alpha fetoprotein levels and amniocentesis . Lipomeningoceles is a form of closed NTD which is characterized by the presence of intact skin covering the defect. The spinal tissue lies within the spinal cord having a junction between the spinal cord and the lipoma. In other words, lipoma also resides within the spinal cord. Usually individuals, with lipomeningoceles are absolutely normal at birth. Neurologic findings first appear during the second year of life. The patient usually presents with subcutaneous fat collection in the lower back and upper buttocks. In half of the affected individuals, skin markings, such as a hairy patch, a midline dimple or a hemangiomatous nevus are present . A spinal cord lipoma refers to a fatty mass within the normally lodged spinal cord without any skin or bony abnormalities. Lipoma can cause spinal cord compression . Lipomyelomeningocele refers to the collection of abnormal fat that starts underneath the skin extending through the bony opening up to the spinal cord . Tethered spinal cord syndrome is caused by tissue attachments that restrict the movement of the spinal cord within the back bone. These attachments can cause an abnormal stretching of the spinal cord . The treatment depends upon the specific type of closed SB. In the case of lipomeningocele, surgery is performed to untether the spinal cord and to excise the Lipoma  to avoid its future complications. In the case of Lipoma, surgical excision is performed . In the case of lipomyelomeningocele, surgery is performed to untether the spinal cord . Untethering of the cord by surgery is necessary for the patients with tethered cord syndrome . In closed SB, the defect is covered by abnormal or dysplastic skin. It can present with a variety of clinical features. Treatment depends upon the specific type of the defect. Sebold CD, Melvin EC, Siegel D, et al. Recurrence risks for neural tube defects in siblings of patients with lipomyelomeningocele. Genet Med 2005;7(1):64-7. Greene ND, Coppa AJ. Development of the vertebrate central nervous system: formation of the neural tube. Prenat Diagn 2009;29(4):303-11. McComb JG. Spinal and cranial neural tube defects. Semin Pediater Neurol. 1997;4(3):156-66. Birnbacher R, Messerschmidt AM, Pollak AP.Diagnosis and prevention of neural tube defects. Curr Opin Urol 2002;12(6):461-4. Marques Gubern A, Biox-Ochoa J, et al. Lipomeningocele. Chir Pediatr 1980;21(1):61-6.